Originally from upstate New York where he fished since he could walk, Carl has been involved with Project Healing Waters Fly Fishing at Walter Reed National Military Medical Center and at Fort Meade in Maryland since its inception, dedicated to the physical and emotional rehabilitation of disabled active military service personnel and disabled veterans through fly fishing and also with Casting for Recovery, a program to enhance the quality of life of women with breast cancer through a unique retreat program that combines breast cancer education and peer support with the therapeutic sport of fly fishing. Carl, father of three and grandfather of five, believes people are at their best outside, in touch with nature. Marc is originally from Carlisle Pennsylvania, home of the famous LeTort spring creek. He grew up spending time outdoors camping, hunting, and fishing. 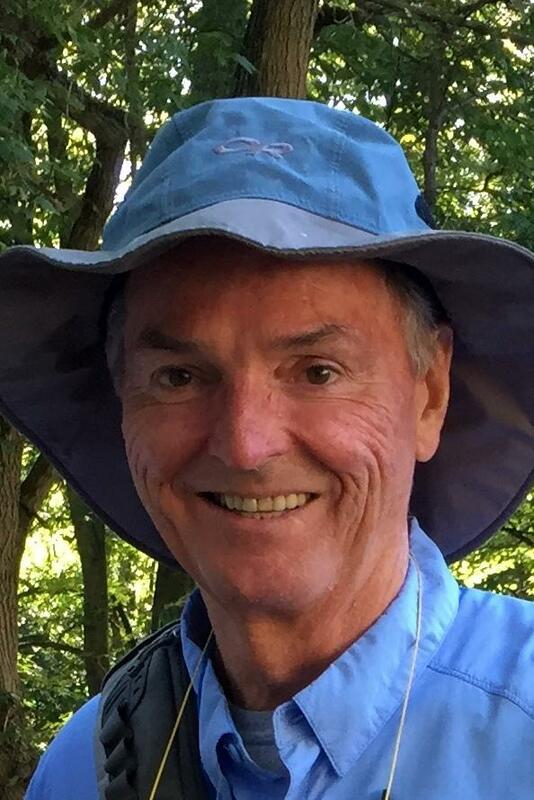 He is a past Board member for the Potomac-Patuxent Trout Unlimited Chapter and currently sits on the Board for the Mid-Atlantic Council of Trout Unlimited. Marc, his wife, and ten-year-old son, and their dog, Boomer reside in Maryland and he runs the IT department for an international non-profit based in Washington DC. Marc believes that there is real value in teaching someone how to fly fish even if that person does not take up the sport for many years to come. Once someone has been taught, that barrier to get into the sport no longer exists later in life. He also believes that every new angler is a new conservationist. Rachel is originally from San Francisco, but now resides in Silver Spring Maryland. I have been fishing since I was eight years old. I started fly fishing later in life. What I really like is the intersection of understanding the workings of stream ecology with the fun of casting and catching fish. I enjoy all fishing, whether it is fishing for small native fish or chasing large steelhead and salmon. I look forward to sharing my love of nature and fishing with the youth of the Mayfly Project! Having grown up in the foothills of the Blue Ridge Mountains and less a quarter mile from the South River in Virginia, Jason began began fly fishing at twelve years old. His first fly rod, an L.L. Bean First Cast seven footer, has caught everything from wild brookies in the Appalachian Mountains to rainbow trout in Wyoming. Jason currently lives in the nation's capitol, so he spends a lot of time fishing in his native Virginia, Northern Maryland, and the Potomac River in downtown DC. Apart from fishing, Jason holds a degree in mechanical engineering from the University of Virginia and currently works as an assistant preconstruction manager for a real estate development and construction company, responsible for developing preconstruction budgets for multifamily real estate projects. Katie is a native from Carroll County, Maryland. She enjoys teaching fly tying classes, casting classes and guiding whomever wishes to trek with her through spooky trout water minutes from her home. Katie has taught fly fishing classes to kids in the Chesapeake Bay Environmental Center summer camps and thoroughly enjoys working along side kids of any age. She works part time in Great Feathers Fly Shop in Sparks, Maryland. While she is blessed with blue gill and bass ponds nothing gets her heart pumping like throwing big streamers for musky and pike! Katie loves to laugh and pull the occasional practical joke but will ALWAYS be carrying snacks in her pack for those who join her adventure! Beth was born and raised in the Hudson Valley Region of New York, where she also did all of her schooling . She did not live outside of New York until joining the Army. She wound up in Maryland because her sister moved here, and now the majority of her family lives in the Annapolis area. Although her father is a lifelong fly fisherman, Beth only grew up fishing with spinning rods in the creeks and lakes around her home, and on vacations. It wasn't until she was receiving treatment at Walter Reed Medical Center a couple years ago did she find the joy of Fly Fishing, and she has never looked back. She has always enjoyed teaching and mentoring children, and has many nieces and nephews. The Mayfly Project ties two of her favorite things together, helping kids and Fly Fishing.